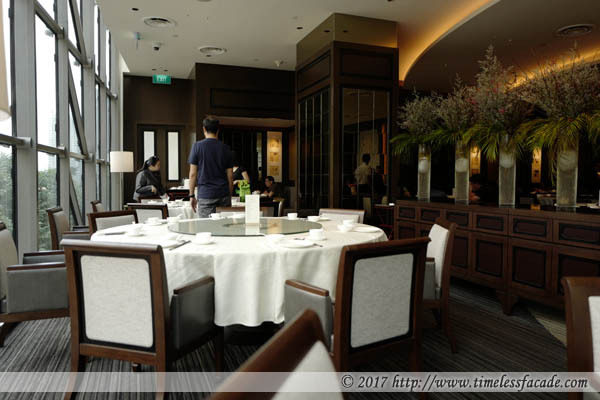 It's been a while since our last visit to Imperial Treasure Teochew and since then, so much has changed. For starters, they relocated from Ngee Ann City to Ion Orchard and included the word "Fine" in their name. Oh and they recently garnered a Michelin star. Exciting times. The place is certainly more upclass now and gone are the days of the rather cramp-ish interior with haphazard seating arrangements. Instead tall glass ceilings allow for tons of natural light and coupled with lots of wood, make for a more relaxing and refined dining environment. Do note that if you sit by the windows during the day, be prepared to soak in some heat; a little hot but still bearable. 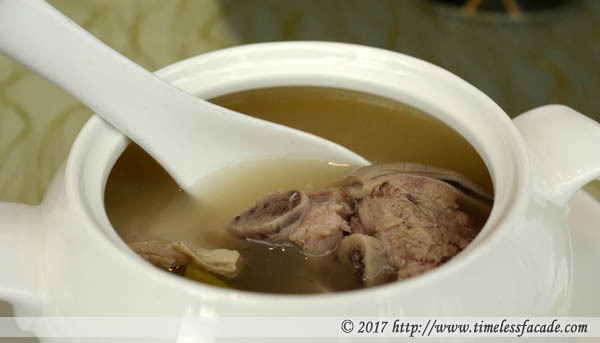 Double Boiled Fish Maw Soup with Shark Cartilage - This came across as a little starchy and rather sweet. Not quite a fan honestly and rather pricey at $30 for such a small bowl. The Cantonese restaurants definitely do this better. Doubled Boiled Pig's Stomach Soup with Salted Vegetables & Peppercorns - The soup was a tad too salty from the salted vegetables but I liked the peppery goodness of the peppercorns. Decent soup overall but I can get a better (and cheaper) rendition from one of the Teochew braised duck stalls that I usually patronise. 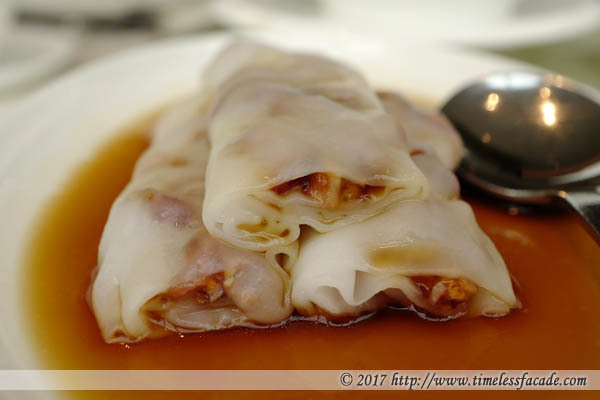 Chee Cheong Fun - Just for the kick of having some dim sum - a rather average rendition with the skin less than silky and a lacklustre char siew filling. 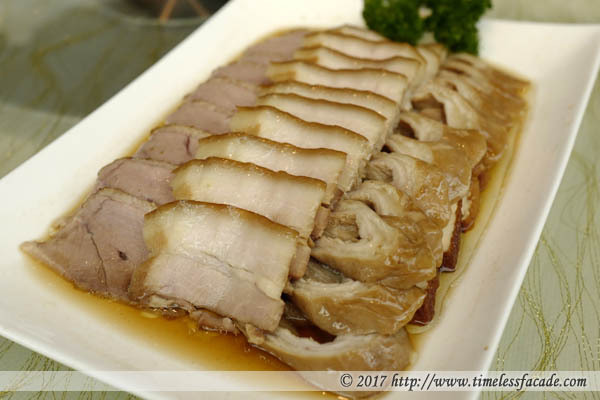 Three Kinds of Marinated Combination in Teochew Style - One of the hallmarks of Teochew cuisine, braised meat. We went with duck, pork belly and intestines and it was seriously underwhelming. The duck was thinly sliced and didn't come across as too tough but the gravy was a tad too sweet for my liking. Though the pig intestines were well cleaned, they lacked the crunchiness that I liked and came across as limp. Not to mention the pork belly with its >50% fat to meat ratio that honestly didn't go well with the sauce. The sole saving grace? Silky smooth beancurd slices hidden beneath. Apparently this is the Hong Kong style Teochew braise with its lighter flavours but I've had much better Teochew braise in Hong Kong. ie. Chan Kan Kee or Hung's Delicacies (which I make a point to patronise whenever I depart/transit HKIA). Deep Fried Cod Fillet with Sauce - I had meant to order the pan fried version but made a mistake. Thankfully it turned out pretty good; crisp on the outside with sweet, flaky flesh on the inside. Ladled with mildly savoury sauce with lots of spring onions. Delicious. Sauteed Prawn with Egg White in Italian White Truffle Oil - I usually prefer the scallop version but apparently prawns have substituted scallops for good (still can't quite accept that fact). The singular prawn was quite sizable and crunchy and of course the white truffle oil gave the whole dish a rather heady (and amazing) aroma. Braised Spinach Beancurd with Assorted Mushrooms - Now I've rather biased towards beancurd and it was quite delicious - crisp on the outside while soft and eggy on the inside. Topped with lots of mushrooms and sitting on a bed of spinach. Definitely my kind of dish. Sauteed String Bean & Minced Meat with Preserved Black Olives - The string bean came across as a little too oily but at least it retained its crunchiness without coming across as overly raw. Average dish at best. Teochew Fried Fish Noodles - Stir fried with beansprouts, chives and egg, the fish noodles had a nice springy texture to it but was way too oily for my liking. It was also a tad lacking in wok hei. Sweetened Mashed Taro with Ginkgo - And finally, another ubiquitous Teochew dish, the humble but extremely time consuming to make Orh Nee. It looked dry and unappetising on the outside but was actually smooth, fragrant and moist without being too sweet. A great ending to our otherwise underwhelming meal. With a $100 discount, lunch for the 4 of us came to about $232 (~$339 without discount), which isn't quite worth the money in my humble opinion. Food overall was acceptable but some dishes came across as too oily. Service was good but seemed to be shorthanded at times, especially when the restaurant was at full capacity. 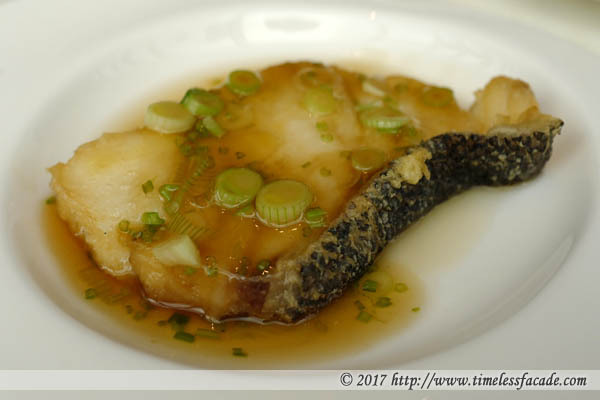 To be honest, even though I'm quite a fan of the Imperial Treasure group (note the number of times I've been to the Cantonese outlet at Crowne Plaza), I fail to understand how this particular outlet is able to achieve 1 Michelin Star.